Well – I did it. I chose my niche and I’ve revealed it publicly within the video embedded below. There’s no turning back now. I’ve gone out on a limb. I’ve dipped my toes in the water. I’m in uncharted territory and the adventure is just beginning! I’m actually pretty excited about the niche that I’ve chosen. Excited for more reasons than one. I’m really excited about the possibilities that I could bring to life within a site built around this topic. It’s based on something I previously knew absolutely nothing about – but I can see myself becoming very passionate about. I’m actually looking forward to putting a lot of time into this niche site because I am eager to learn more about it and help others learn more about the topic too. 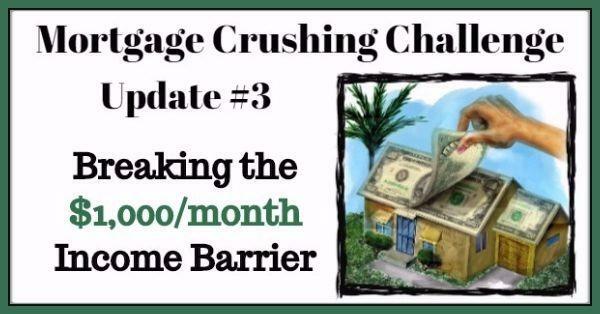 There are some things about this niche though that might seem a little off-the-wall, especially to experienced niche site builders who have been in the game for the past couple of years. As I dove into the keyword research and some of the other criteria I use to select a niche – I went a little bit against the grain as far as doing things the way many people have done them recently in the world of building niche sites. I’m trying to keep most of the videos for this case study as short as possible without leaving out any important information. This one is a little bit longer though – and for good reason, I think. Within the following video – I did my best to answer some previous questions and further explain my keyword research process. I walk through several examples, ones that I was really looking at in my keyword selection process. And towards the end of the video I finally reveal my niche! Note: I do all of my keyword research with Long Tail Pro (Platinum version) – and this is the only tool I suggest using for keyword research. There are other tools and even free ways to do keyword research – but I will not be discussing them. Long Tail Pro is the industry standard for keyword research and is by far much better and faster than any other tool. 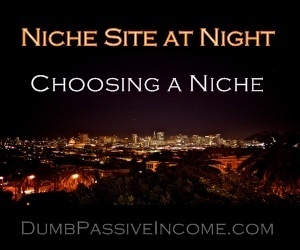 When I started this Niche Site at Night public case study – I fully intended to find a strictly product based niche. One where I could build out a simple site with some informational articles and a whole bunch of specific product reviews. As it turns out – my plans for this site are becoming much bigger. I will certainly have the informational articles and product reviews – but I’ve got something much better in mind now. Instead of thinking only about publishing articles based on keywords and products – I’m actually thinking about the structure of the site and what the user experience will be like. These are things I never paid any attention to at the beginning stages of any of my previous niche sites. The niche I chose is based around a hobby – a hobby that can possibly and viably be turned into a full-scale business. Sure – my site will still be an Amazon affiliate site and that is where much of the monetization will be focused. But I foresee even more potential – which I will save for a later post. I don’t want to get too far ahead of myself. So – within the video I revealed my niche and gave you a glimpse of some of the keywords I will be going after. I realize that I still need to show you exactly what to do with that list of keywords. I’ll get to that soon enough. But while my vision for the site is clear in my head – I want to get the domain purchased. My next post will show you exactly how to do that (and it’s slightly more complicated than just choosing something catchy and buying it on GoDaddy). Until then – I look forward to reading your feedback and comments about the niche that I have chosen.